April marks the end of our seasonal farmers market in the Garden, so stock up for summer! A special performance by the South Beach Chamber Ensemble will happen from 1 to 2 p.m. and is free for everybody! This is possible with the support of the Miami-Dade County Department of Cultural Affairs and the Cultural Affairs Council, the Miami-Dade County Mayor and the Board of County Commissioners. Vendors from The Market Company will be selling freshly made bread from Zak the Baker, local produce and cheeses, greens from the Little Haiti Community Garden, honey, sandwiches, mushrooms and more. Stop by during your lunch break or after work and let us help you figure out what to cook for dinner. The Garden Market is part of the Garden’s efforts to provide green living solutions for the community. 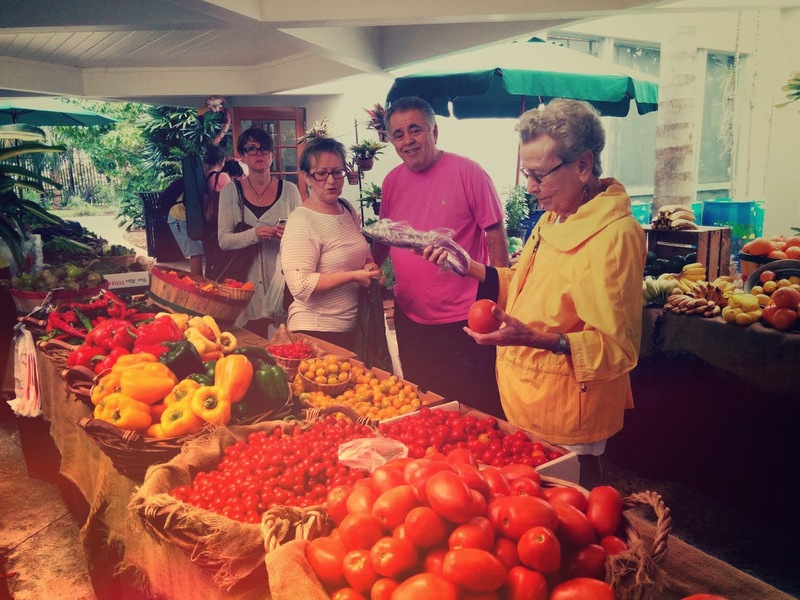 Supporting local farmers and crafters keeps more money and jobs in the Miami area, and fresher, more nutritious food in our bellies! Also every Wednesday, balance your mind and body with rejuvenating hatha yoga at 12:30 p.m. (read below for details). The Green Book Club Discusses Flight Behavior and A Day with Amy Stewart on May 6! The Green Book Club meets the second Wednesday of the month to discuss the previous month’s read. Come join the group for a conversation about Flight Behavior by Barbara Kingsolver. This book is not only a novel about rural life in Appalachia, but also touches on the issue of climate change and it’s effect on everyone’s lives. The Green Book Club always welcomes new members and encourages meeting participation even if you have not read the whole book. 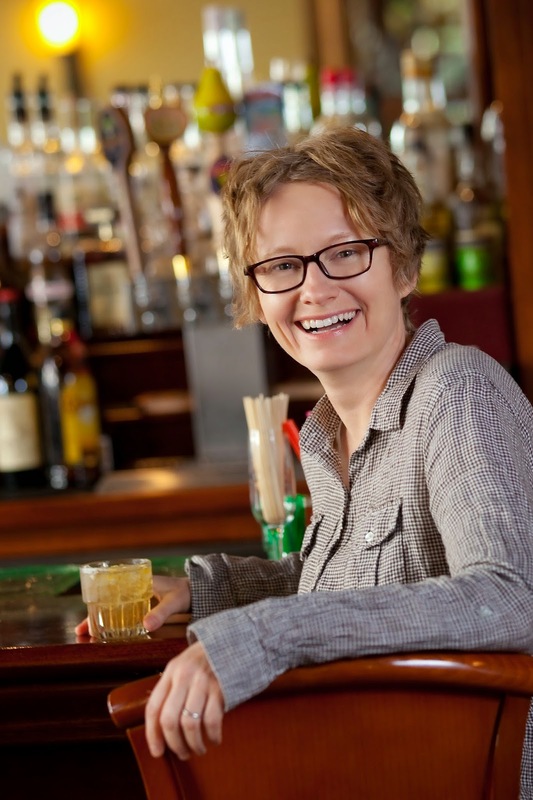 The Green Book Club is helping to organize A Day with Amy Stewart on May 6 at the Garden. Amy Stewart is an award-winning author from California with four books on The New York Times bestsellers list. This is an event you don't want to miss out on! The Miami Beach Botanical Garden is so lucky and honored to be chosen as the local nonprofit benefiting from Whole Foods South Beach 5% Day. 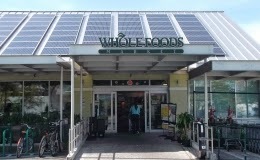 Several times a year, Whole Foods stores hold community giving days where five percent of the day’s net sales are donated to a local nonprofit or educational organization. So remember to save your shopping for Thursday this week and go organic! 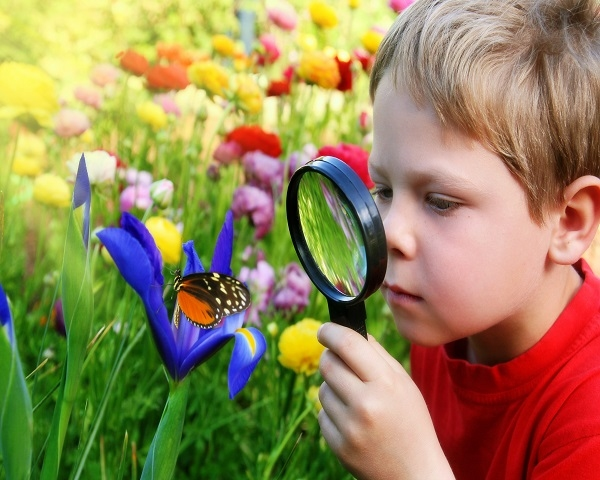 Stimulate your child’s sense of wonder and nourish the parent-child bond. This fun, multisensory class uses song, dance, games, stories, show and tell, art and seed planting to engage your little one’s natural curiosity. The Garden is the inspiration for our journey as we explore different countries around the world. Instructor Meldy Hernandez has designed this 8-week course with themes of recycling and taking care of the earth woven through the activities. Click here to register and see the full details of the classes. 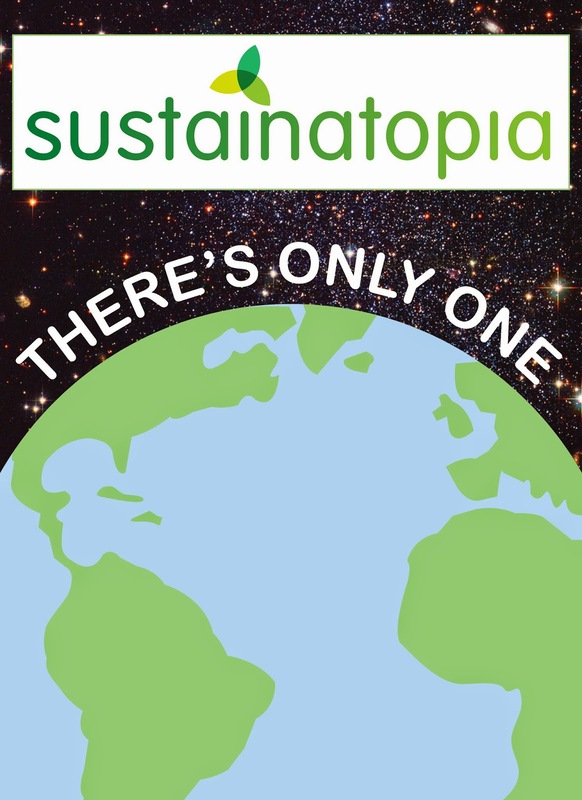 The Sustainatopia Honors party is the opening night event for Sustainatopia honoring those who do extraordinary good within social, financial and environmental sustainability. Special attendees include Miami Beach Mayor Philip Levine, Senior Climate Change Advisor to the President Bina Venkataraman, and Executive Director of Angelina Jolie and Brad Pitt's Foundation, Cameron Sinclair. Food and drinks provided by Whole Foods and Barefoot Wines. This year's honorees include world-call architect Chad Oppenheim, philanthropist Ron Cordes, ethical fashion champion Matt Reynolds, environmental photographer and supermodel Amber Arbucci, and community building and social businessman Juan Pablo Cappello. Click here for more info and to purchase tickets. Proceeds benefit the Miami Beach Botanical Garden and Surfrider Foundation. Celebrate our common Mother with several family-friendly activities throughout the day such as a showcase of sculptures and other works by local artists made from repurposed materials. Short environmental films will be playing from 10 a.m. to noon in the Butterfly Room, and families with children ages 4-12 can attend a session of art projects and eco-learning opportunities from 11 a.m. to 2 p.m. Meldy Hernandez, our Mommy and Me teacher, will host a family yoga and dance class for the little ones (ages 1-3) to introduce them to the wonders of nature using song, dance, yoga and world music. 11:30 a.m. to 12:15 p.m. There is a $12 fee to participate. Call the Garden at 305.673.7256 ext. 201 to reserve your spot now. End the day with a nighttime garden gathering and yoga class from 7 to 11 p.m. This event is in conjunction with Sustainatopia, to benefit the Miami Beach Botanical Garden. 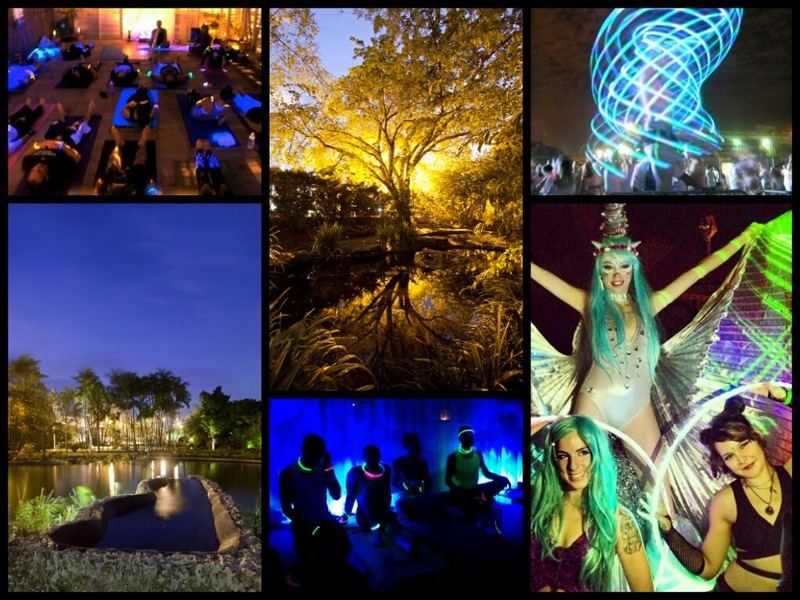 Find your roots and celebrate our universal heritage as a human race with this unique fuse of glow-in-the-dark yoga and an outdoor garden social. From 7 to 8 p.m. enjoy local DJ’s and live music acts, as well as grassroots vendors from the Miami area showcasing homegrown food clothing and art. From 8 to 10 p.m. meet on the patio for a special glow-yoga class and meditation taught by Terra-Nova and Cristal Gould, ending with a sound bowl healing. After the class, mix and mingle under the sea grape tree and join in the drum circle for more festivities and live art and music. All are welcome to this free event. Those who would like to glow with us in the yoga class can preregister for $25 or pay $30 at the door. Everyone is encouraged to wear anything that glows or shines, to honor our common home we all share together. Click here for tickets! This event is in conjunction with Sustainatopia, to benefit the Miami Beach Botanical Garden. From 8 to 10 p.m., meet on the patio for a special glow-yoga class and meditation taught by Terra-Nova and Cristal Gould, ending with a sound bowl healing., clothing and art. 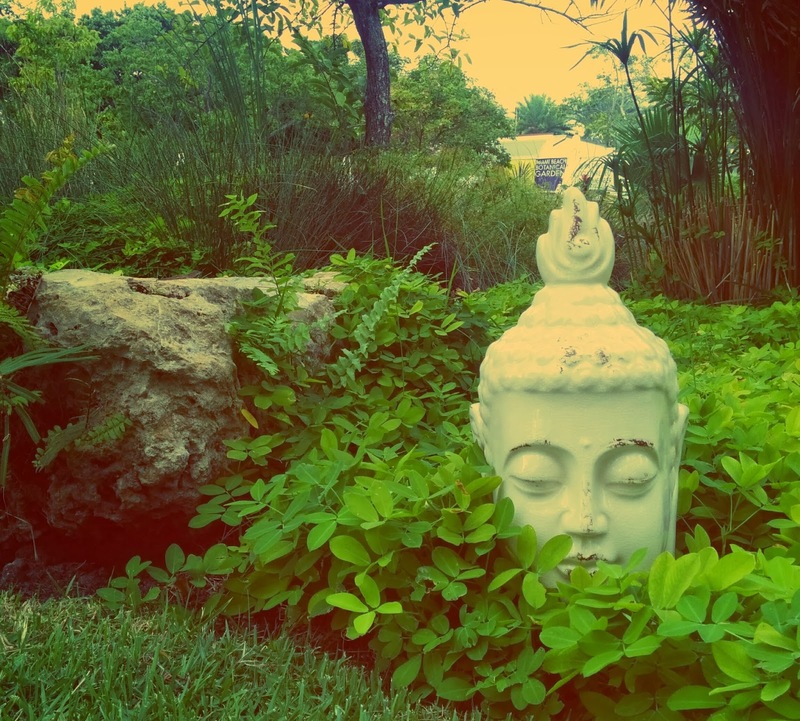 Glow Yoga and Garden Gathering is in conjunction with Sustainatopia, to benefit the Miami Beach Botanical Gardenn. 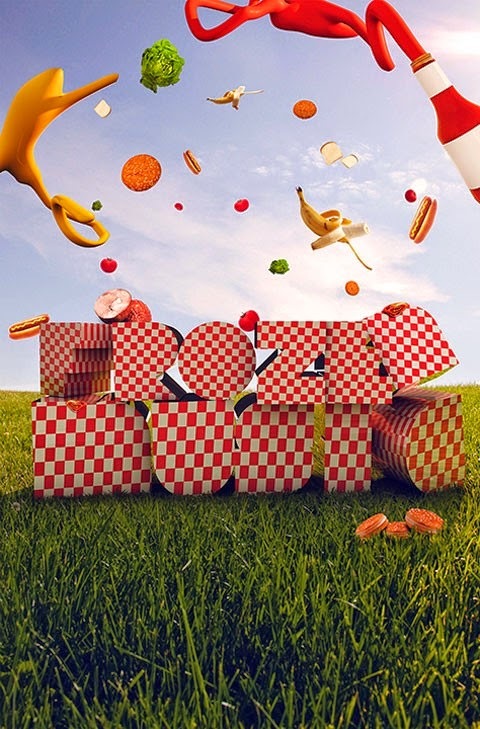 Frozen Music is an ensemble that performs electronic sound installations that blend into, and interact with, the natural environment in outdoor spaces. It features sound artists David Dunn, Rene Barge and Gustavo Matamoros. This fourth version of their sound installation piece titled Picnic, will feature an electronic sound environment that behaves as natural as the calls of birds, insects and amphibians found in remote areas of the Everglades. These sounds will surround the audience from four discrete cardinal points. Visitors are invited to bring their own blankets and food baskets to setup picnics right on the lawn, and to exchange with each other while experiencing this extended duration piece. This performance is a partnership between Miami Beach Botanical Garden and SFCA [isaw+subtropics.org] and it is possible with the support of Miami-Dade Cultural Affairs Council, Culture Builds Florida, and the Cultural Arts Department of the City of Miami Beach. Spend this special evening outside on the patio dining with friends and enjoying the sunset. This three course dinner features produce from The Garden Market held at the Miami Beach Botanical Garden every Wednesday. Dishes are prepped onsite and feature creative and savory flavors from Chez Gellar and Inspired Thyme Catering. 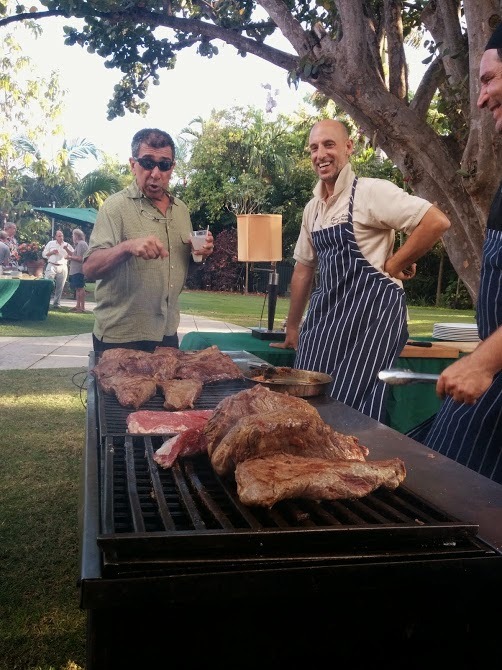 Two main courses will be offered family style: free-range chicken thighs and breasts from Gaucho Ranch, and a red snapper with roasted fennel, citrus and dill. Click here for the full menu and tickets.